Music and dancer function. 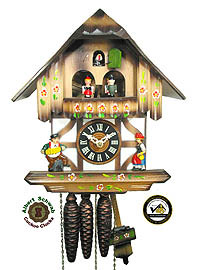 A nice timberframe house clock with a Black Forest costume wearing couple to the left and right of the dial. 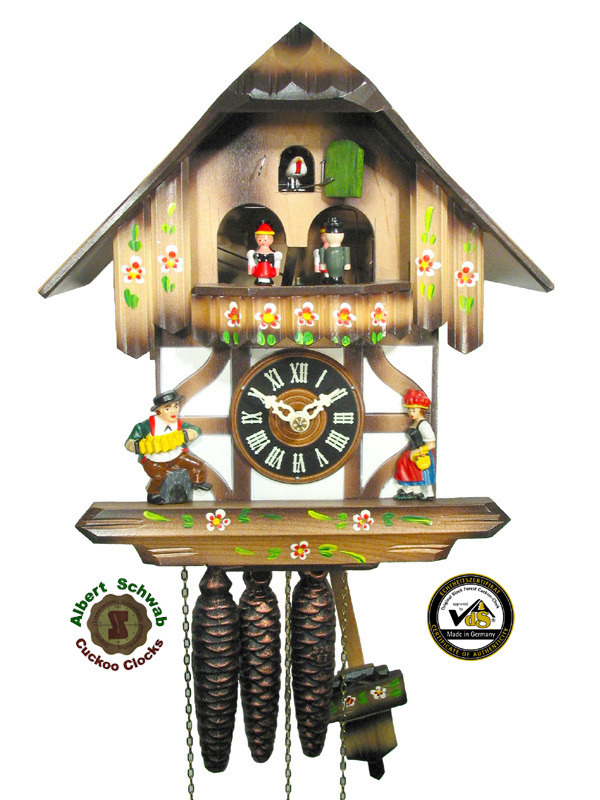 made by Albert Schwab Black Forest Clock Factory, Schoenwald, Black Forest.